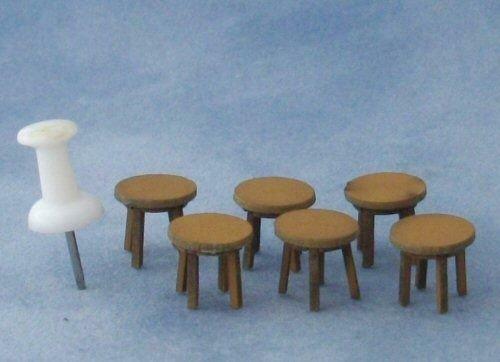 Miniature kit for four short stools chairs. Could be used in the dolls house or in a miniature or pub. 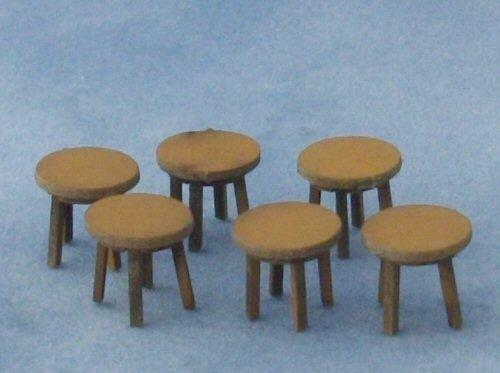 Each stool measures 9mm wide x 9.5mm tall. Lots of designs of chairs, stools and tables available.